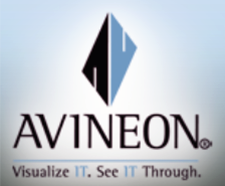 Avineon, Inc. (Avineon) is now offering Metrics Extension™ to ArcGIS for Server through the ArcGIS Marketplace. As a key component of Avineon’s Ability Accelerator, the Metrics Extension empowers GIS and IT departments with baseline reporting for data governance, and also serves as an automation tool to respond to ad-hoc reporting requests from stakeholders. This is the first of the Ability Accelerators to be available for purchase in the Marketplace, enabling customers to define, schedule, compute, visualize, and share lifecycle analytics. Metrics Extension improves visibility into data editing and quality patterns across geographies and over time — a critical input for organizations planning to modernize their GIS and/or to implement Esri’s ArcGIS Utility Network Management Extension. The company anticipates several additional Ability Accelerators will soon be added to Esri’s ArcGIS Marketplace. Customers signing up for a free 30-day trial of Metrics Extension at ArcGIS Marketplace and anyone attending an Esri event in 2018 are eligible to receive the quick start package at the reduced cost of $2,500, a 50 percent savings. The quick start package assists your GIS and IT specialists with online support to install and configure the software.